When people speak about China, they tend to fixate themselves on it’s ancient history with the Great Wall, the Forgotten Palace and the Terracotta Warriors. But this vast country, the size of the US, and with the largest population in the world, is rapidly transforming from an emerging, underdeveloped economy to an Asian Tiger powerhouse economy. However, it’s exotic culture has remained the same for the most part intact. While high-speed bullet trains are linking up to railways as far as Kazakhstan, and through South East Asia to Singapore, you can easily find places in rural China that have changed very little in the last few centuries. For those arriving by air, Beijing is often the arrival port and is the capital city. Today most of Beijing is a sprawling metropolis rather than having a labyrinth of cobbled backstreets like in the past. But thankfully that has made it a little easier to get around. 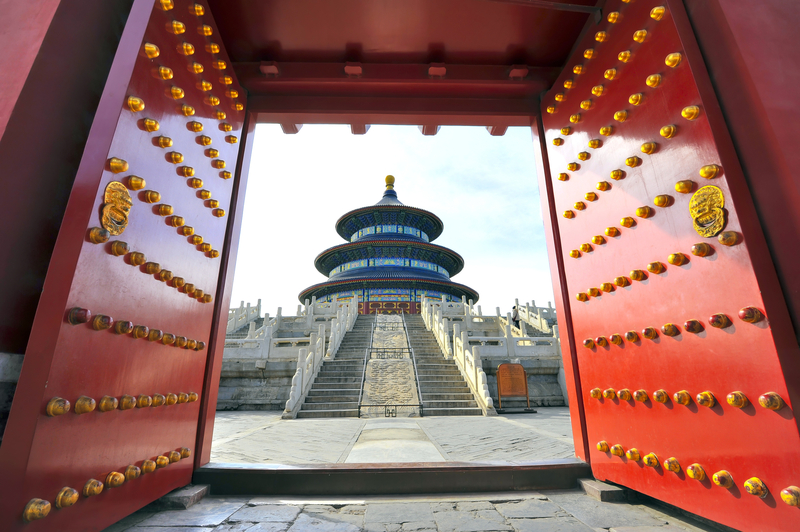 Beijing is home to two star attractions: The Forbidden City and the Great Wall. The Forbidden City was the imperial palace from the start of the Ming dynasty to the end of the Qing dynasty, before the imperial structure was replaced by a Republic in 1912. It is home to the Palace Museum, which shows visitors how the palace was home to numerous Emperors over 4 centuries. The Great Wall of China – China’s most visited site – is a 1 hour train ride from Beijing city centre. Crowds of tourists here are a bit of a problem, so if possible try to get there early as soon as it opens to increase your likelihood of getting a photograph without it being ‘photo-bombed’ by Chinese or international visitors a like! Heading to Xi’an, the oldest city in China and former royal capital which was the seat of over 73 emperors in it’s history, is another star attraction, the Terracotta Warriors. These warriors were found in three vaults, and the excavated pits cover a whopping 20,000km squared room displaying 2,000 terracotta warriors, but in total there are thought to 8000 more yet to be excavated. But if you get sick of the cities in China – which is not hard to do – then rural China has all sorts of natural wonders, landscapes and cultures to explore. Firstly, the Dragon’s Backbone in Longshen, terraced rice paddies that scale up the Longji mountains are a beautiful site to behold, are especially spectacular in May, when the rainy season will be full of water with the beginning of rice growing season. This makes sunsets especially beautiful as the pink, purple and yellow shades reflect off the water, which makes the paddies look like they are on fire. Chengdu is 1 hour West of the Himalayan foothills of Tibet, and here you can visit everyone’s furry friends, Giant Pandas. With some 60 of them at the Chengdu Panda Research Base, you’ll also get educated by friendly guides about the plight of this critically endangered cuddly beast. Heading further south until it hits the border with South East Asian countries, Yunnan Province is popular for it’s breathtaking limestone karst mountains, with traditional rice planting and harvesting taking place around them all. This is a beautiful place to catch a glimpse of the “Old China”. But it’s natural wonders are equally as awe-inspiring. The Tiger Leaping Gorge is surrounded by the Jade Dragon Snow Mountains, and it’s highest peak stands at 5596 metres above sea level. Here, hiking into the gorge itself provides immense views of jungle cliff edges, and mist-shrouded, snowy peaks, as well as waterfalls. But for those who cannot manage the multi-day hikes, tours can easily be arranged from nearby Lijang to take you there by a 4×4 vehicle. Finally, Tibet has it’s own very unique culture and is surrounded in controversy, as it was invaded and taken over by the Chinese just after WWII. Many of it’s ancient Buddhist temples were destroyed during the “Cultural Revolution”, but thankfully have been rebuilt and restored. Tibet has one of the highest lakes in the world that is simply ‘otherworldly’ to visit, it feels like walking around an alien planet, such is it’s isolation. Tibet is also home to the Potala Palace which was the residence of the Dalai Lama, until he was exiled and now lives in India. Still the palace is very impressive, carved into the hill side, and it’s white washed walls dominating the skyline of Lhasa, the Tibetan capital. The religion in Tibet is now protected after numerous attempts by the Communist Party to destroy it failed. Tibetans practice a unique form of Buddhism in the Mahayana tradition, and Tibetan Buddhists use more tantric meditations then their cousins further to the South and East, who are in the Theravada school of Buddhism. So, China: Vast, changing at breakneck speed, but still clinging on to old traditions and it’s past heritage. Just be sure to visit sooner than later to get a glimpse of what China is really all about!